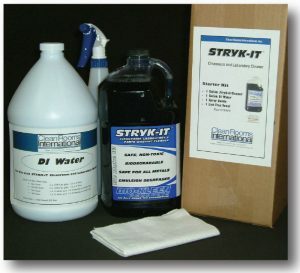 STRYK-IT Cleaner is a strong anionic, nonionic detergent formula coupled with alkalinity that creates water soluble compounds from insoluble products making it a very effective cleaner in most industries today. 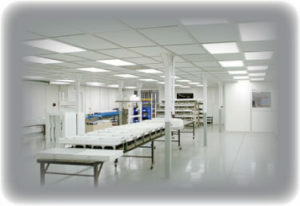 Suitable for using in a cleanroom or laboratory on walls, floors, windows and equipment. Excellent for production parts washing. Economical to use in low foaming type of parts washing equipment and dip tanks. 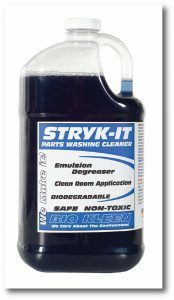 • Use of warm water for dilutions dramatically increases the cleaning power of STRYK-IT Cleaner and also enhances the surface drying process. • Glass Cleaner: 2 oz. 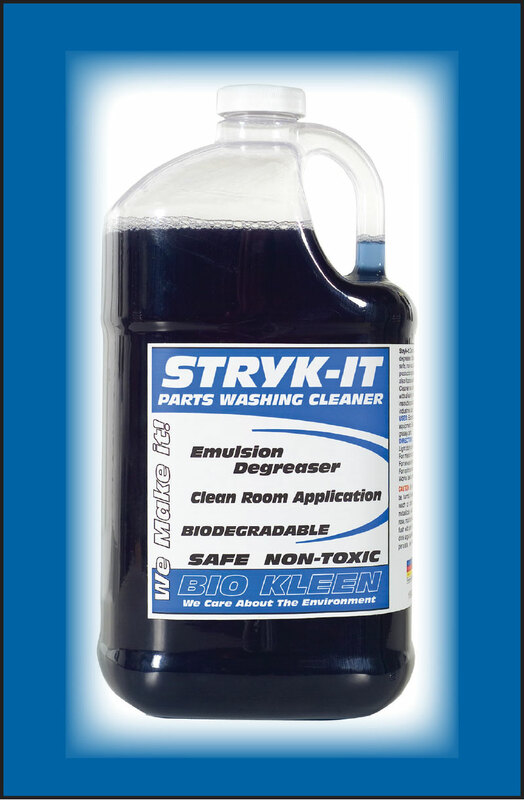 STRYK-IT per gallon 126 oz. Quality water D.I., R.O. • Soft Wall Cleaner: 2 oz. STRYK-IT per gallon 126 oz. Quality water D.I., R.O. • Floor Cleaner: 1 to 10 dilution up to 1 to 50 depending on severity of floor. • Wall Cleaner: 1 to 20 dilution up to 1 to 50 depending on severity of wall.